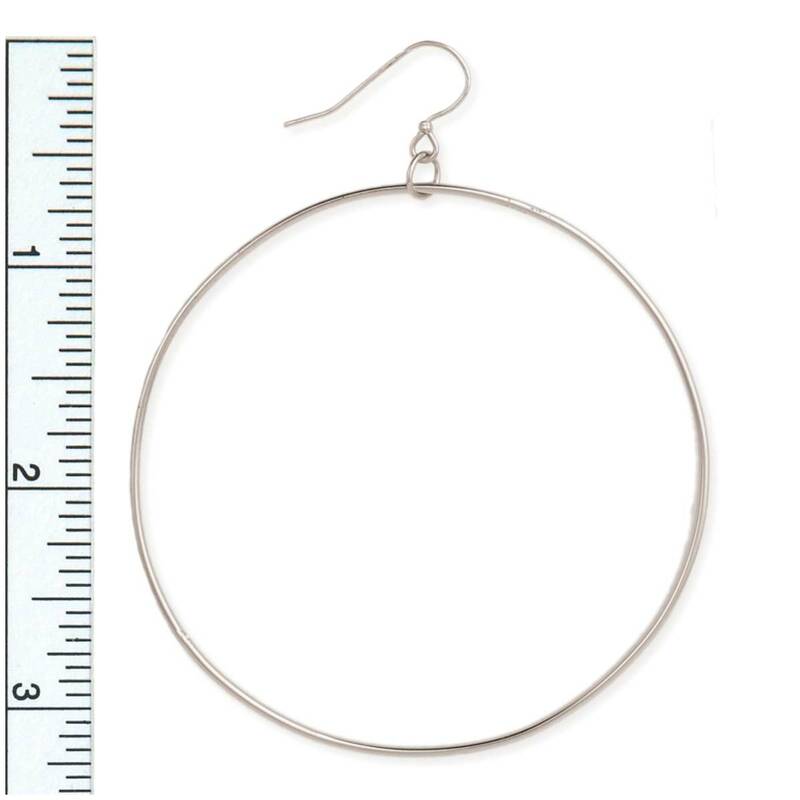 You can easily get around town with these lighter than air large silver circle dangle earrings. 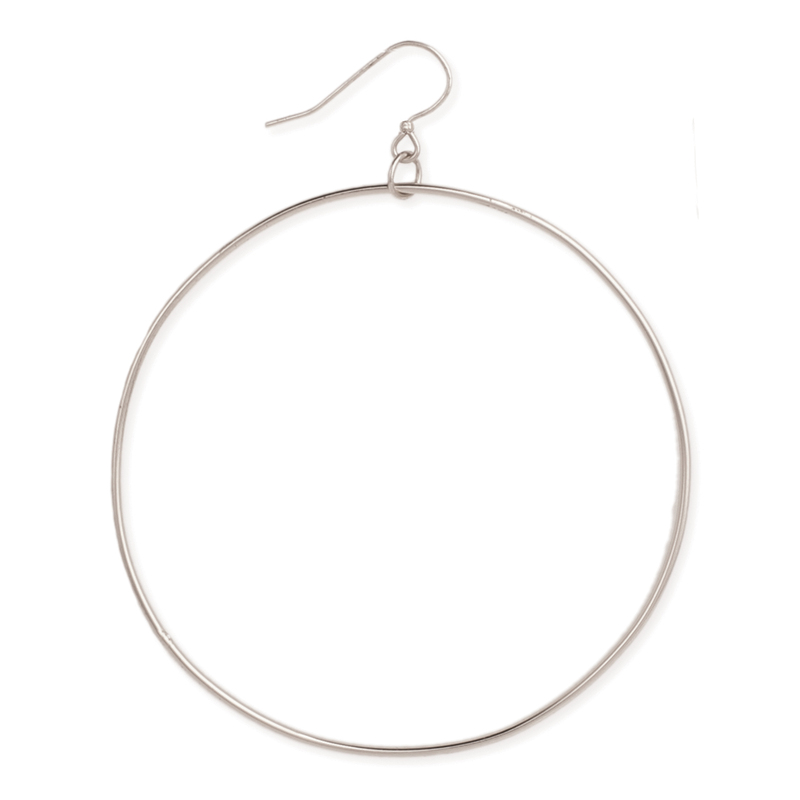 Featuring an oversize silver wire circle dangling from a simple ball French earwire, these round silver earrings are the easiest addition to any outfit. Classic in design, big on impact! Measurements (approx.) 2 1/2" x 3 1/4"